People first, martial arts second. Think long-term, think in human terms. P.H.D. – Preserve Human Dignity. You will teach more off the mat than on the mat. Always use request language, never use demanding language. Always exceed expectations, always go the extra mile. Always greet everyone, every day. Always ask Questions, gather POGO. Always error on the side of formality, never informality. Always smile, never be too serious. always clean, clean, clean….Disney Dojo atmosphere. Always say it with flowers. Always personify the virtues of a black belt. Never argue. You may win the argument, but lose the student. 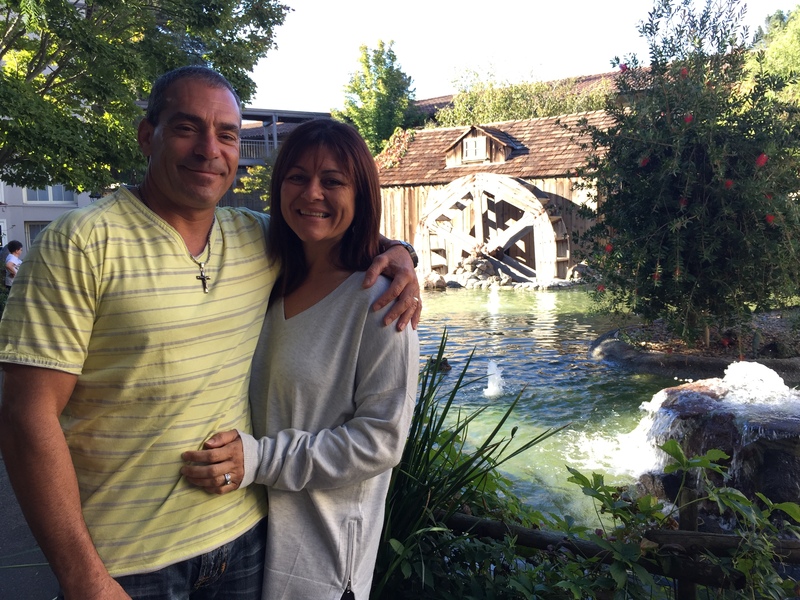 We were invited to John and Saira Cokinos’s house for the SOS meeting a few months ago. We knew we were going to learn and network. However, we didn’t realize how much. Interacting, networking, and learning from our peers are what we’ve always done voraciously. But for the first time this was done in a home setting, in a caring and supportive environment. We went there with some clear ideas in our minds, but we came away with dozens and dozens of ideas! And we implemented many of these. For instance, we fired our accountant and hired a new one. (Thank you, John and Zulfi for getting in my ear about that.) We also got other great ideas on kids’ programs. In fact, thanks to a new idea, we were on Fox News Philadelphia just two weeks later, and we added 40 new kids to our program within one month. We also came back with friendships and renewed bonds with peers. What’s more, now there’s accountability! My friends often ask me, “Did you implement such and such idea?” And I couldn’t be more grateful for that. The impact of SOS still hasn’t worn off, even though so many months have passed! When my brother, Brad, opened the school 15 years ago, he hired Educational Funding Company right away. Because EFC specializes in dealing with money, it frees us to focus on other things: doing intros for new students, studying our art, learning marketing techniques, etc. In the last 14 years, there has never been a single error. (Even when I thought there was, there wasn’t!) Partly because of this, we’ve gone from being a 600 sq. ft. school to being an 8,000 sq. ft. school, with 1,200 students! We’ve also found their analytics and reports for retention and renewal efforts to be extremely useful. Q. Who is the biggest martial art influence in your life? A. It would have to be Grandmaster Seung Gyoo Dong. 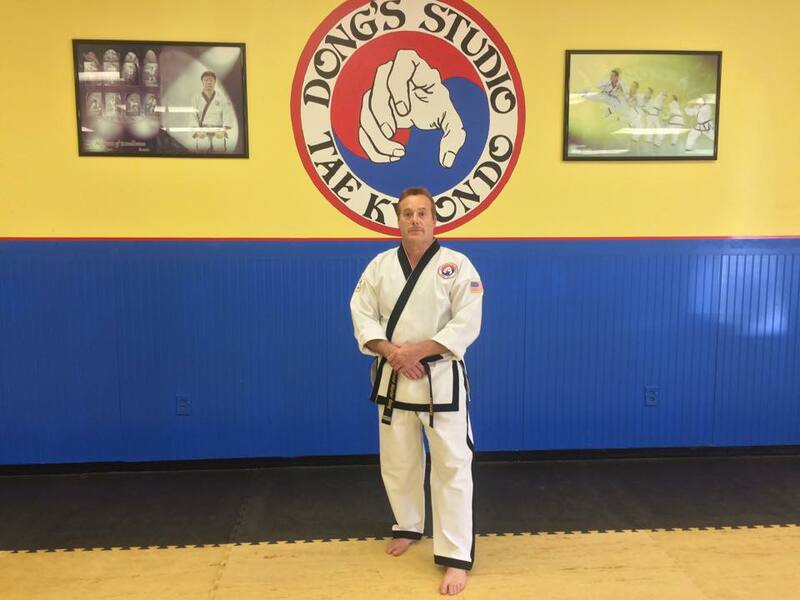 Not only is he a worthy grandmaster who teaches authentic martial arts, he also guides us to lead a healthy life inside and outside of the dojang. A. Loyalty is the foundation of everything you are building or growing. You must be loyal to yourself, the art and to your school. Q. What are five management activities for better retention? 1. Talk to your students and find out what they like and don’t like about your classes. 2. Create energy and enthusiasm while you’re teaching. Remember, enthusiasm is contagious. 3. We are a very traditional school so we had a special advanced self-defense seminar to change the routine a little. It was excellent for creating energy in our school. 4. Give your instructors an opportunity to think of ways to improve the reten tion of your school instead of the school owner doing all of the thinking. 5. Be the kind of instructor that students want to be around. For example, there are certain values we strive for, not only for the students but for instructors as well. 6. Our school values are: honesty, humility, patience, diligence and sincerity. A. In my opinion the emphasis should have been practical from the first class; if it is not practical then it is useless. It has to have a benefit in order to be useful. We call that physical self-defense. There is also mental self-defense. An example of the latter: you must think about what happens when you deal with a stressful situation. You could be the fastest gun disarmer in the world and you could have trained for years doing every type of disarm possible; in other words, you are physically prepared for anything they may throw at you. However, if you were attacked on the street by the same method you practiced against, you could potentially freeze up and forget everything you learned because you are not mentally prepared. If that happens, all of the years of dedicated physical training are meaningless. Q. What are the greatest challenges that martial arts school owners face? A. Of course getting new students and keeping your old ones. We all know if people are calling about your martial arts school on a regular basis you probably have an effective referral system in your school as well as a good website, etc. However what do you do if your school slows down? Well, if they aren’t coming to you then you must to come to them. Be part of the community functions in a 5-mile radius to your school: fairs, family night outs or other events. You may also have a meeting with five business owners once a month and share ideas on how to help each other out. You will be amazed at what you can come up with or learn from. A. You must be excited yourself. Excitement leads to motivation and motivation leads to influencing your students to reach excellence in a positive way. Q. By what means do you follow up with new members during the first hundred days? A. The 2, 4, 6 calls seem to be the best way to communicate on how the classes are going for the student and to find out if there are any potential problems hindering them from reaching black belt. However, sometimes you might not be able to reach the student on the phone but you may be able to reach them in class. Don’t assume that everything is fine with the student even if they seem happy. Remember, communication is key. Q. What programs do you internally offer to new students? A. We offer six, twelve, or thirty-six month programs. We do not do month-to-month programs, because there can be no commitment without goals. Q. What are your thoughts on EFC? A. EFC was the first company to manage the accounts receivable as well as help school owners and instructors. It also provides top-level management for school owners. My account rep, Raj, is the most sincere and dedicated manger that I have ever worked with. He has given me a lot of guidance to help my school continually grow. A. In the beginning, it was Bruce Lee. He got me interested in the martial arts. I wanted to be like him. He influenced me to make my first pair of Nunchaku, and off I went daydreaming and practicing. But while he helped get me started, he couldn’t have helped me build what I have now. For that, it’s not just one person who stands out, it’s many: all the martial artists who got bitten by that “entrepreneurial spirit” as Michael Gerber puts it, and persevered and succeeded. To be totally honest, it’s the people that I see year after year at the EFC convention that inspire me to get better and better, not just as a martial artist, but as a “professional” martial artist. A. Loyalty is everything, whether it is to your spouse, family, parents, businesses, friends, staff as well as to yourself. And we cannot forget loyalty to others who have influenced and helped us in the past. What happens a lot today is people forget about what others have done for them in order to make them who they are today. Q. Please could you elaborate on five management activities that lead to better retention? A. 1. “Good Job” notes, which are anchored to praise in class. 2. Parent Nights Out events for children. 3. Adult Night Out events for adults. 4. Instructor training classes, which stresses class time management, teaching techniques, curriculum review, drill building techniques, etc., so classes rock! 5. Student goal review meetings or mat-chats! A. I am a firm believer that just about everything works, whether it’s traditional martial arts, or a newer type of practical self-defense system, as long as the instructors believe in it. No matter what, a school should have a solid foundation in character development for adults as well as children. A. For me it’s staff training and management. A. We do this through monthly TIP testing and three-month belt testing. Showcasing higher-rank classes helps. I also work hard to ensure my staff and I are incredible role models. A. We implemented a new system this year. We of course have our MIA/DNS for our current members, but we added an additional attendance card box with all new students, our white belts, behind the front counter. 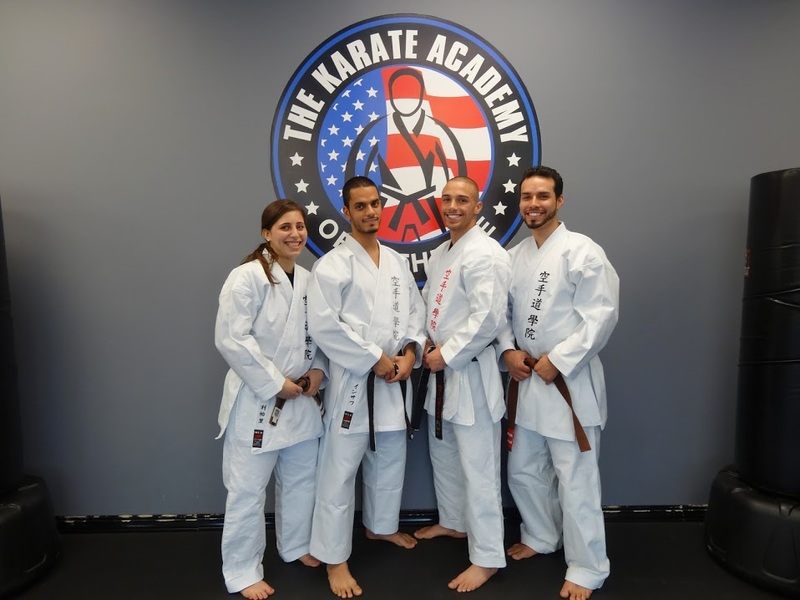 New members, prior to their first belt test, need to check in at the front desk and ask for their attendance card to bring it with them into class. In this box the attendance cards are filed by the day of the month. When a student comes in we ask them when will they be in for their next class, and we then circle that date on the card. At the end of each class, we look to see who did not attend and we give them a call. This gives us a chance to always politely greet each new member by name. We get the opportunity to ask if they have any questions, and to make sure we call them immediately upon a missed class. We are also sending videos of information that they need to know about within days and weeks after they enroll. A. For children, we offer a complementary student evaluation, then a two-week paid trial, after which we enroll them for 12 months. For adults we offer a complementary class, then enroll them for a month-to-month or a 12-month program. A. If it were not for Educational Funding Company, I would not be where I am today, in terms of my personal life, my financial situation and most of all, in terms of the success of my schools. EFC’s billing work is absolutely fantastic. My wife is in charge of our bookkeeping and loves the fact that she works closely with only one person, Raj, who does an incredible job—following up with our members and my wife. I like the leadership and the rock solid business concepts that EFC promotes for their clients. I really enjoy bringing my staff to the yearly Summit. It gives us a charge as well as confirms that we are in the right place. Writing Ezine articles is one of the top ways to drive increased traffic to any website. This is a free technique, which is simple and actually works. Are you waiting for a punch line telling you that there’s a big drawback? Well, you can breath easy because there’s no such punch line! All you need to possess as an Ezine article author is a reasonable knowledge of spelling and grammar, plus a willingness to spend some time researching a subject. Ezine is a newsletter that is delivered via email that you can subscribe to or opt-in to. An important component to Ezine is the permission you give to the Ezine publisher. Any Ezine that does not require confirmation or a subscription process is spam (unsolicited commercial email). An Ezine cannot be web-based only. While it is true that you can put an Ezine on the web and you should do that, if your Ezine is only available on the web, then it is a webzine at best and definitely is not an Ezine. (An Ezine usually will come in a plain ASCII text format or via a rich HTML format or will allow both formats via an auto email client detection strategy called MIME/Multipart.) You should never send PDFs or any other large file to your email list members, unless they are expecting it and can handle receiving your files. These can come from many sources. Here are a few ideas to get you started. You’re probably better off writing once or twice a month. Less than that and people will forget about you. Writing weekly can be tough on you and might be too often for your readers as well, unless you keep your articles very short. If you outline three or four articles at the beginning, it will give you the confidence that you can do this. Then, even if you get too busy to plan your next issue, you can relax, knowing a lot of the thinking has already been done. If you write like you’re speaking to a friend across your kitchen table, a lot more of your personality will come through. It’s unlikely your high school English teacher will grade your writing, so relax already! Yet at the very least, run your spell checker at the end. At some point you might find yourself without enough time to prepare an article. Or perhaps you’d like to bring a new perspective to your readers. However the author must adhere to the industry standards of quotation and citation guidelines. In other words, do not reproduce articles written by others verbatim. In the beginning it’s much simpler for you to create your documents in plain text. They will go out quicker and be received faster as well. Later on, if you decide to offer an HTML version, be sure to let your readers decide which version they’d prefer. Who is the biggest martial art influence in your life? I’ve been lucky enough to train under Master Gustavo Larrea for my Shotokan Karate training, Master Nishime for my weapons training, Sifu Paul Vizzio, Coach Keith Trimble and Sensei Harold Whitfield for my kickboxing/boxing training. But I’d have to say Master Larrea has had the biggest impact on my life. If it weren’t for him and what he taught me I wouldn’t be where I am today. What is your thinking regarding loyalty? Whenever I think of loyalty I think of what Napoleon Hill said: “If you want to have success and a pleasing personality, be loyal.” That sums it up for me. What are five management activities one can implement for better retention? Weekly check-in calls to make sure all students stay on track with their attendance goals. Progress and growth chats to see where students are in their training. Creating memorable experiences for students through events and themed classes. Sending good job letters and calls. Free private classes for students who are struggling to stay on track. What are your thoughts on the new emphasis on practical martial arts? I think each martial art is practical as long as the instructor teaching it is clear in defining its purpose and application. When students don’t see the practicality of something that is taught, it’s the instructor’s fault, not the art’s. It’s our job to break things down to make members feel they can do what we’re teaching, use what we’re teaching and be good at what we’re teaching. What are the greatest challenges martial arts school owners face? Besides having a strong marketing campaign, I think connecting with students and families is a big necessity. I personally feel parents look for someone they can relate to. Whenever owners get too caught up in the idea of being a Sensei and forget about being a person, they’re in for a rude awaking. Nobody cares about your accomplishments until they’re sure you’re a person they can trust. How do you motivate and influence your students? We’ve noticed the most important thing for us to do in order to motivate our students is to make them feel like they belong to our school and feel special every time they come for class. That means in-class shout outs, high fives or stopping what you’re doing and really looking at test papers or pictures they bring in. By what means do you follow up with new members during the first hundred days? We call or text them each week. We also schedule their first group class. They also have progress and growth chats with an instructor. What is your process for renewing students and to what programs? Instructors must nominate students in order for them to renew to an advanced program. At that point, we’ll set up a meeting with the family and go over everything the class entails, including what’s taught, the schedule and how much it will cost. If a student is not ready to move up to the advanced class they just hang out in the beginner classes a little longer, until they’re ready to move up. I love EFC! They are evolving with times and staying up to date with the site and services they offer. My team and I especially love our account rep Mini! She’s always on her ‘A’ game and does whatever she can to help us stay on track to success. The minute you become a parent, the world seems to become a much scarier place. It starts with crossing streets and riding bikes under your supervision. Then, as they grow older, it turns into surfing the internet, driving cars and staying home alone. But potential dangers are not as big a threat when you and your child are armed with the right safety information. Take a clear, sharp, full-face photo of each child at least once a year. Know where each child’s medical and dental X rays and records can be located. Obtain these before they are destroyed or you move to a distant location. Keep an up-to-date record of any medicines a child needs and what the effects will be if not taken. Walk with your children to school or the bus stop. Point out areas that might not be safe. Play a game called “What if” by using pretend situations to help them decide how to react in a real emergency. Show them which houses they should go to if they need help. Take fingerprints of your child for positive identification in case of foul play or hidden identity. Fingerprinting each member of the family at the same time can allay a child’s fear and such identification is useful to have. Don’t let your children go to a shopping center by themselves. Your children should avoid public restrooms unless they are with a trusted adult. If your children should become lost inside a store or shopping center, tell them to go to a nearby clerk or security guard for help. It’s best not to let your children wear clothing or carry articles with their names on them. A stranger may pretend to know them by calling their name and acting like a friend. Fully Stocked First Aid Kit – Make sure you have a first aid kit & flashlight at a place where your child can easily get to it if needs be. Lock Up The Dangers – make sure chemicals, cleaners, guns, ammunition, knives, hand tools, power tools, razor blades, etc. are all locked away and out of reach. No Cooking, or only using the microwave. No answering the phone or the door. This eliminates having to learn what to say and what not to say to strangers calling. If your child has a cell phone you can use that to contact them. If your child does answer the phone or door, be very clear on what they are to say. Set rules on TV and computer time. Include any other specific rules that pertain to you and your situation. Big kids are curious about fire. Teaching your children about the hazards of playing with matches and other flammable materials, as well as practicing a fire escape route with your family, can help prevent accidents and injuries.